Be the first to hear about their new releases and deals. 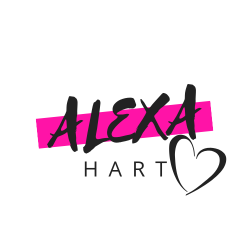 Download the Booksprout app and search for Alexa Hart today! I’m Alexa. Author, wife, mommy to two adorable fur babies and big-time hopeless romantic. When I’m not writing I love spending time with my amazing husband (my real-life bad boy), growing gorgeous flowers in my garden and finding inspiration for my next book literally everywhere I look. Love is all around us and it brings me so much joy to bring that love to life in each story I write. I love bad boys and a good sweet and dirty romance. I can’t wait for you to check out my books and let my hot, filthy guys rock your world! Buckle up! This is going to be a wild ride.